Other than that, it's business as usual. Guest stars include (in Volume 1) semi-regulars Glenn Strange, Dabbs Greer, George Selk, and Clem Fuller; also Tom Lowell, Betsy Jones-Moreland, Sheree North, William Talman, Scott Marlowe, Harry Townes, Mary LaRoche, Philip Abbott, L.Q. 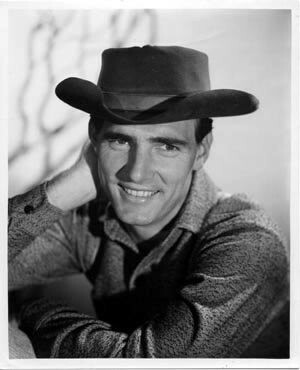 Jones, Andrew Prine, George Wallace, Shug Fisher, Chubby Johnson, James Broderick, Everett Sloane, Anjanette Comer, I. Stanford Jolley, Barney Phillips, Jeanne Cooper, Richard Devon, Gilbert Roland, Gene Evans, Lloyd Corrigan, Lynn Loring, George Lindsey, Kent Smith, Marsha Hunt, James Best, Karen Sharpe, Ned Glass, Noah Beery Jr., Tom Reese, Jan Shepard, Butch Patrick, Slim Pickens, Elizabeth MacRae, Kenneth Tobey, Roy Barcroft, (and in Volume 2) Denver Pyle, Strother Martin, Kevin Hagen, Lauri Peters, Robert Wilke, Warren Oates, James Griffith, Lyle Bettger, Don Megowan, Harry Dean Stanton, Ed Nelson, Royal Dano, Vic Perrin, John Dehner, Jay C. Flippen, James Seay, Hank Patterson, Gene Lyons, Bill Erwin, Jacqueline Scott, Herbert Anderson, Patricia Owens, George Kennedy, Julie Parrish, Phyllis Coates, Jack Elam, Harold J. 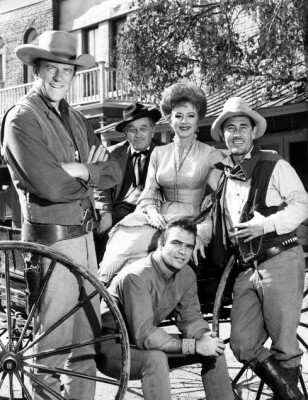 Stone, Paul Fix, Patric Knowles, Mark Goddard, and Michael J. Pollard.